HELKPO • View topic - A joining into helkpo - part 1: The first word. A joining into helkpo - part 1: The first word. Intro to the joining with the Helkpo. Cutting into a point of the shamans life. Spelling errors will undoubtly be included. I urge you to look past it . Nothing but rain, icecold winds and horrifying screams had been raging through the ghastly night. There were no birds, no animals. Not even critters ,for that matter, seemed to have nested in the cold death earth. Insect were there though. Just. Just not the kind any orc or pinkskin is familiar with. On a little ledge carved into a hill there was a small flickering light. Its movement sporadic against the overleaping hill. From a far that little light seemed tiny. Alone in a dark land, sharing its fate with noone but the icy winds that'll kill him off when its maker is gone. Yet from close by, just that little light seemed to lit up the entire hillside. Swept back and forth in the howling storm it looked like the little light already began its final battle. Frantically dodging assault after assualt lighting up every part of the ledge for just a few seconds before another attack had to be delt with. Sometimes the little light stood his ground and readied itself to face its assassin head on. ''More fire you ungratefull bag of cinder!!'' With a mighty crack of his leathery whip the shaman jurked his arm down and the whip followed. Striking its victim right on where his buttocks should be if it had any. The fire roared silently to the sky with his arms held high. As its pathetic roar ended he shrugged its shoulders as he brazed himself for another *motivational* slap. It did not come, the fire immediately grabbed all its heath and tucked it deep inside him. Doing this shortened the circle it lit to close around him. With a grimace it peered at the black burned whip laying in the light it made. The creature made of fire was waiting. Fighting his battle against its oldest enemy, the cold, was the least of its troubled existence. It followed the burned whip with its charcoal eyes till the heel of its maker. There it let its eyes rest, waiting till that heel would turn around. Waiting till its perverted tormenter would put him to its agony once more. Clearing its throat the old orc mumbled ''Icecrown is pretty this time a year"'. His raggedy beard started to wave a bit. The wind howls again, he thought as his fist tightened and making the handle of his leather whip crack. ''Tomorrow the brothers going to collect some skulls!'' He allowed himself a little grin as he moved his heel making his body to turn around. A quick fwoosh alarmed of the lumbering fire elemental behind him. Quickening his turn he cracked his whip close to the ground ready to strike. As his face turned ,his eyes met the hollow charcoals of the elemental and for a moment he saw what the fire once was before he mastered it. ''Don't look so gloom barby lighter. Its time to roll!'' At the same time he said the last sentence he slapped his whip around a little wooden pole beneath the great fire and jurked it. The eyes of the thing lit up but instead of vanishing into the elemental planes as normal he uttered a sound. More or less a cry of utter pain. A cry of insanity the old orc decided as he whistled its red drake near. He pulled himself on top of what he revered to as his own 'little red rocket' and the little red rocket clapped its wings and flew into the sky. Last edited by fonkje on Sat Oct 10, 2009 2:04 pm, edited 2 times in total. 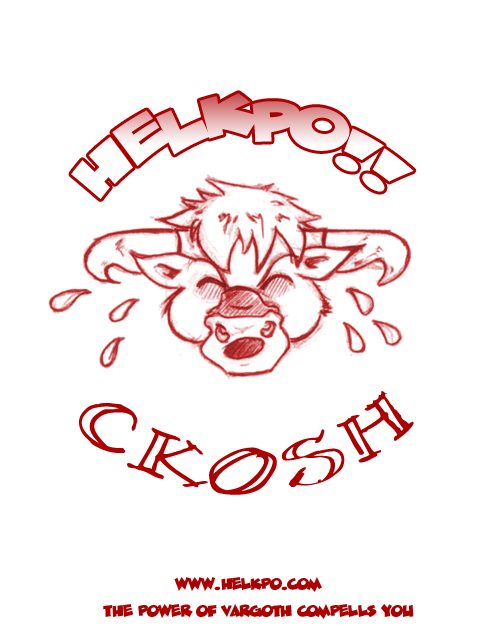 Re: A joining into helkpo - part 1: The first word. Ckosh wrote: yeah I looked past the spelnig. KEK I focus all my artistic conecntration on this story. I only get one reply and when finally someone else replies its about the one reply that replied to my post. I swear, Le screw you !